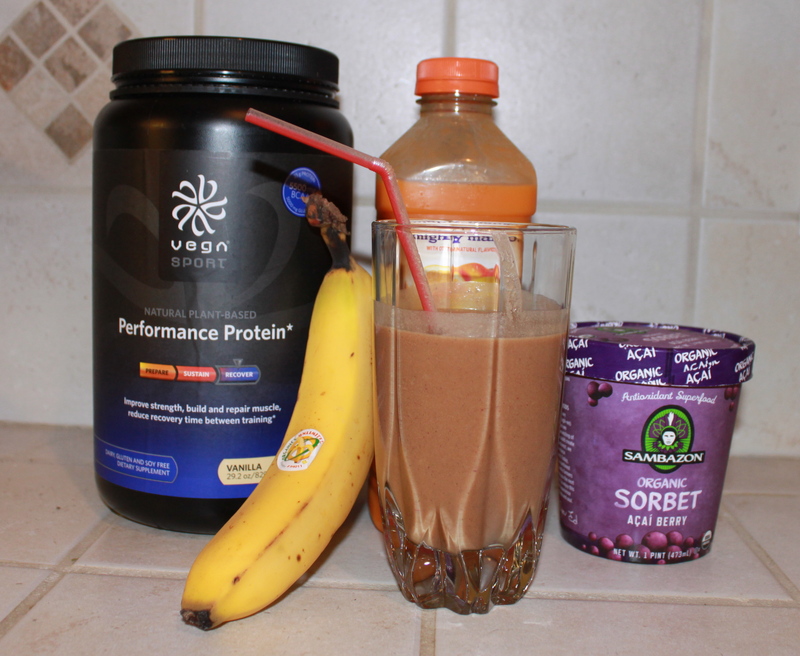 Today I made the best tasting post-workout shake after I got home from my run and I want to share the recipe with you. Blend all of the ingredients together with a few ice cubes if your ingredients are not cold. Enjoy! Posted on February 22, 2012, in fitness, nutrition, weight loss and tagged acai, mighty mango, naked juice, naked mighty mango, nutrition, performance nutrition, post workout smoothie, protein shake, protein shake recipes, recipes, recovery shake, sambazon, shake recipes, sports nutrition, vega, vega protein, vega sport, workout. Bookmark the permalink. Leave a comment.